This week's beer of the week is from Old Tomorrow Brewing, a brewery which was opened up with a mother and her son, Pat and Ian Macdonald, being partners together. It's the first time I have heard of a mother and son opening a brewery together. 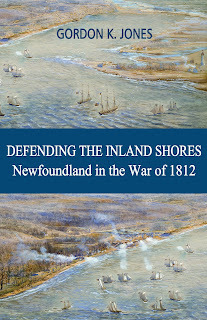 You may have heard of Pat as she once was the Ontario Assistant Deputy Minister of Economic Development and was one of the driving forces behind the War of 1812 celebrations. Ian compliments that by being a marketing professor at George Brown College. Why the name Old Tomorrow? It was one of the nicknames of Canada's first prime minister, Sir John A. Macdonald. 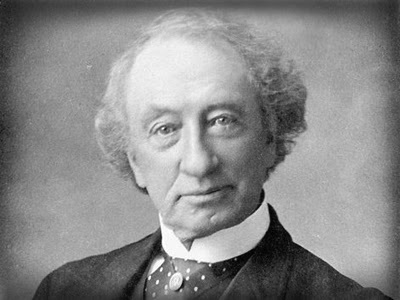 Fondly named Old Tomorrow for his uncanny sense of timing & ability to achieve consensus against long odds, Sir John A was a brilliant visionary who dared Canada to be great. His image is on the can. For Sessions Toronto #6 beer festival, they collaborated with Olympian Gold medal winner and Amazing Race Canada host, Jon Montgomery, to create Monty's Golden Ryed Ale. It was fabulous and my favorite of the festival. Their first beer, Canadian Pale Ale is currently being contract brewed out of Ottawa but the Macdonalds are looking to open their own brick and mortar operation. CPA pours amber with slight off white head. There is an earthy hop tone in aroma and nice lacings are left behind on my glass when I sip. It starts a little malt forward before the a tone of English hops come through. I thought I was drinking an English Pale Ale but in the finish, a surprising taste of citrus bitterness makes itself known. I would say it is a bit of a cross between an English style bitter and an American pale Ale. It's a very enjoyable beer that I would have again.